The Barbour family preserved this priceless landscape in pastoral farming from the middle of the 18th Century through the middle of the 20th, by the wise rotation of crops and a continuous maintenance of sheep grazing. It was the second-generation heir, James Barbour, born 1775, who set the plantation on that path of sustainable agricultural practices while others, lamentably, depleted their soils in singular commitment to tobacco. But Barbour would simultaneously pursue a lifelong career of public service, of which his statutorily limited single term as Governor of Virginia (1812-14) was but one of many leadership posts which politics conferred upon him, based upon a well-deserved trust earned in the Virginia House of Delegates (1796-1812). In two terms as United States Senator (1814-25), then as Secretary of War (1825-28) under John Quincy Adams, Barbour held as distinguished a record in service to the new nation as he had for the Old Dominion. But philosophically, politically, and economically, it is James Barbour’s consistent record as an agrarian reformer that distinguishes him in the life of Virginia. Like his neighbors, Madison and Jefferson, Barbour took his turn as President of the Albemarle Agricultural Society (1825), the most prominent and scientifically forward-looking farm association in the region in its day, and was active in the Virginia Agricultural Convention 10 years later, proposing significant educational innovations including an experimental farm and an agriculture chair at the University of Virginia, which were adopted generations later at Virginia Tech. There is every reason to believe, he would have favored the renascence of European viticulture in the center of his own plantation, instituted by Gianni Zonin in the 1970s. 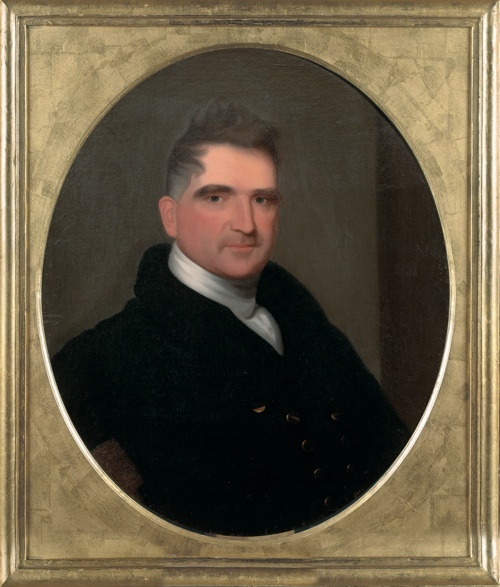 Legacies like James Barbour’s have sustained agriculture at the fore of the Virginian economy, to this day, and agriculture, in turn, preserved parcels of land enabling the economic pursuit of viticulture. Winegrowing has led the most vigorous preservation of values in land of the new Age of Agriculture in Virginia. Defying the unanimous advice of government officials, land owners, and bankers to plant tobacco at Barboursville, Gianni Zonin -- heir to a family wine enterprise established in 1821 in the Veneto -- acquired this plantation in 1976 with the seemingly ridiculous expectation of creating a vineyard. Jefferson had attempted this, persisting into the 19th Century at Monticello, always failing to achieve a single harvest. 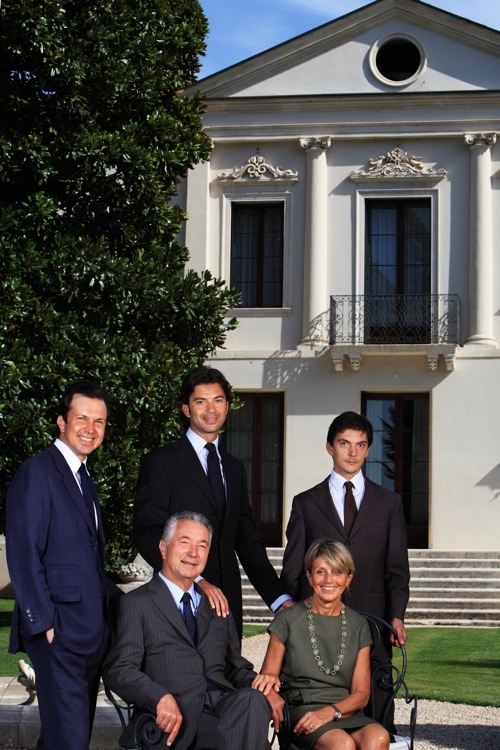 Gianni and Silvana Zonin at home in Montebello, Vicentino, with their sons, Domenico, Francesco, and Michele (L-R), all now active in the family's wine enterprises. In 2006, celebrating the winery’s 30th anniversary as “setting the standard” for a region now populated by more than 200 wineries, Gianni and Silvana Zonin opened a barrel aging room for Octagon, where the history of their creation of the estate that gave birth to a new wine region is laid out upon the walls in illustrated chapters, culminating in the validation of Octagon, itself, as the crowning achievement of these efforts. As this estate was establishing European viticulture in Virginia, Gianni Zonin was also prolifically expanding the family’s projects in viticulture in Italy, in a historic career in worldwide wine distribution which Wine Enthusiast recognized with its Lifetime Achievement Award in 2013, echoing many such honors also conferred by European wine associations. No one in history has presented his wine to so many families worldwide, no one has introduced so many other cultures to his country’s wines. 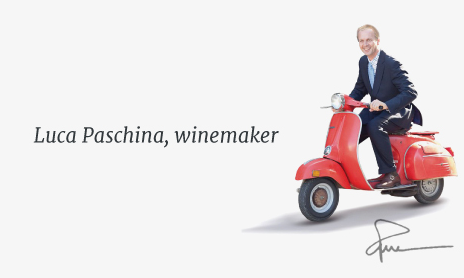 And no one has ever produced fine wines from so many distinct growing regions of any country in this world. Yet, each of his estates prospers because of his full-time commitment to them all. 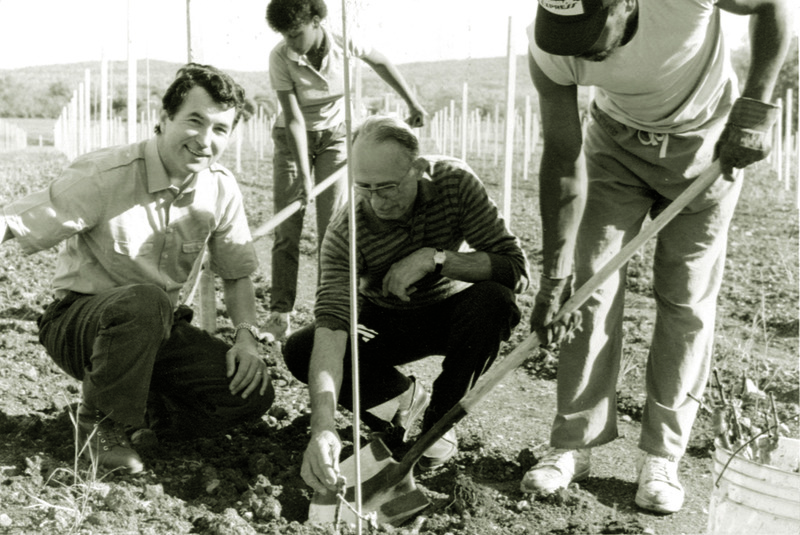 Gianni Zonin planting at Barboursville Vineyards, mid-1970s. What drew Gianni Zonin to Virginia for his sole estate outside of Italy? What sustained his determination? Through many start-up years of trial and error, against headwinds of national surprise and skepticism toward the non-existent wine region, and even cultural resistances in local traditions, he persevered. He created an estate in Barboursville that has been drawn totally into the wine world’s embrace, and inspired hundreds to follow his example in high confidence. In 25 years of working with him, I think I can say I have seen how this was done. Great debacles in family fortunes are notorious in viticulture, where vanity is as hazardous as other forms of ignorance. Gianni Zonin has more in common with Magellan than with titans of commerce. Tradition educates his daring, science overcomes its obstacles, humility enables his discoveries. The estate of wine enlarges in his care.